The latest flagship devices from Samsung, LG, and HTC have been unveiled. With that, it’s time for consumers to begin researching which one will be best for them, as each device offers something quite different. 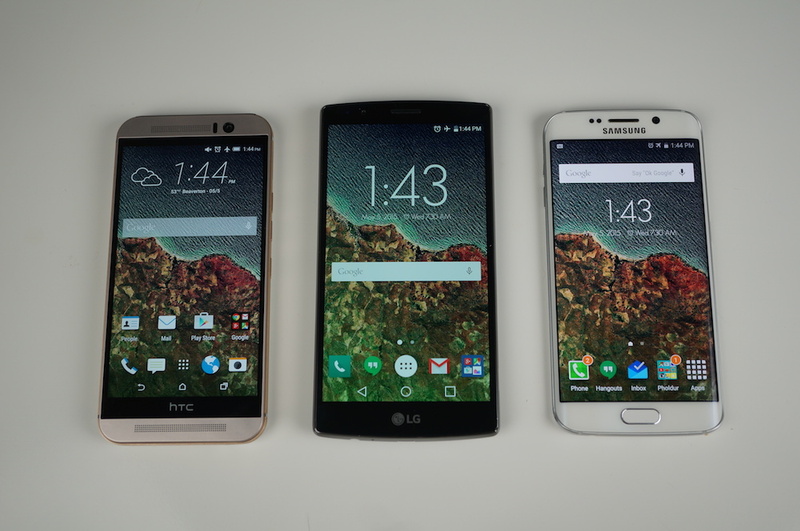 Without question, the G4, One M9, and Galaxy S6 Edge differ greatly not only on paper, but in design as well. The G4 is similar to previous high-end devices from LG and other OEMs, featuring a primarily plastic body, with exception to the leather-backed models. The One M9 continues HTC’s tradition of using metal throughout its design, while Samsung took a completely different route, utilizing a ton of glass and metal siding as its materials of choice. Each device runs a different processor clocked at varying speeds, and each also features very different cameras. For your average consumer, the use of a QHD display may not be on the list of deal breaker attributes, but more importantly, buyers will want a good camera, good battery life, and a phone that is not confusing to use. Having spent plenty of time with these devices individually, I can say that each of the three flagship phones are good, but a couple of them do outperform their counterparts in select categories. For me personally, Samsung still dominates the smartphone camera and display side of things, but now with the G4, LG has successfully shown to me that their products are just as good. It may really come down to which phone you think looks better, and of course, if you need a removable battery and expandable storage. In the video below, we go over the differences between each device, what you can expect from everyday usage, and other nuances that give each phone their own characters. If you have a comparison question regarding these phones, throw it down below.